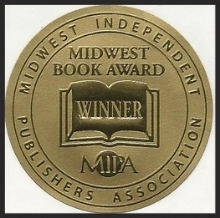 LOGAN wins first place in the history category at the 2015 Midwest Independent Publishing Association annual book awards. The award recognizes creativity in content and execution, overall book quality, and the book’s unique contribution to its subject area. Each year, the Eric Hoffer Award for Books presents the da Vinci Eye to titles with superior cover artwork. Cover art is judged on both content and style. The da Vinci Eye is given in honor of the historic artist/scientist/inventor Leonardo da Vinci. Honorable Mention from the 2015 Eric Hoffer Awards for Independent Books in the Reference Category which encompasses traditional and emerging reference areas, including history, psychology, biography, education, sports, recreation, training, travel, and how-to.